Koelreuteria paniculata.in fruit.commons.wikimedia.org (Accessed 1/2015). 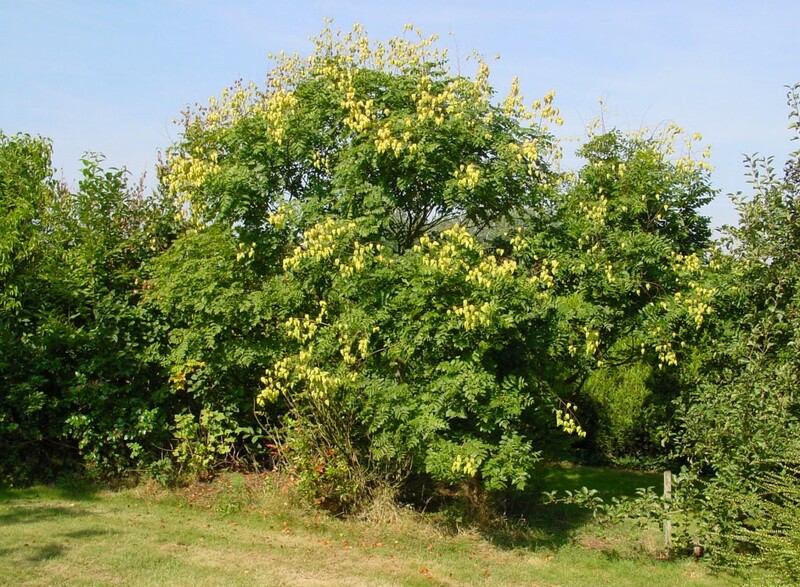 Koelreuteria paniculata is a tree to 10 m; bark light brown, furrowed, twigs with raised orange brown speckles (lenticels). Leaves alternate pinnate, to 30 cm long, leaflets 7- 15, irregularly lobed and toothed, to 8 cm long. 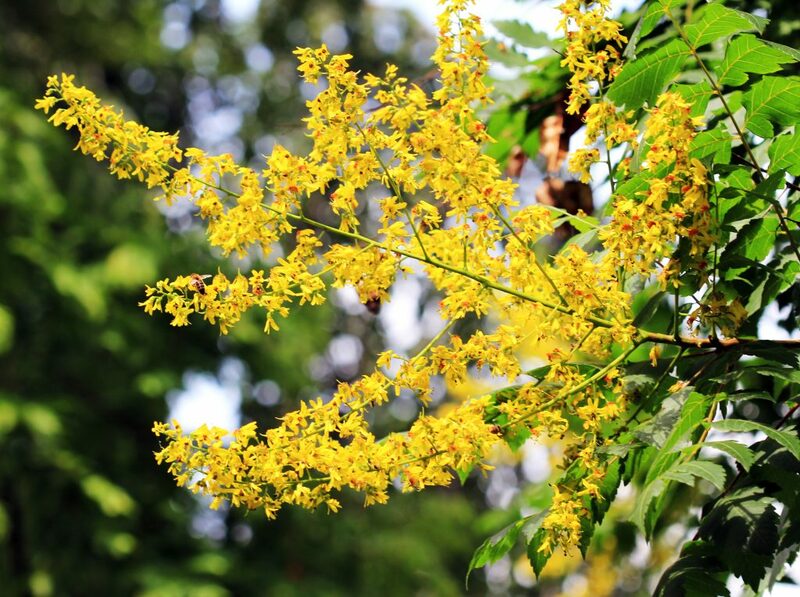 Flowers yellow, about 1 cm wide in large branched clusters to 35 cm long, June-July. Fruit papery 3-parted inflated capsule to 6 cm long, seeds pea-like (Dirr 1990; Rehder 1986). Koelreuteria paniculata_ Prague_2011_1.flowers.commons.wikimedia.org (Accessed 1/2017).